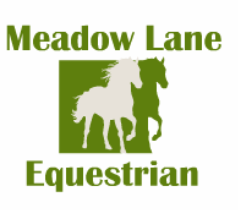 Meadow Lane Equestrian was originally started in the nearby village of Little Downham and was known as Little Downham Equestrian. We quickly expanded until we outgrew our yard and relocated to our current 70 acre site at New Farm, Earith in 2012. Watch this space for all the exciting improvements and events we have planned for New Farm. We are conveniently located with good road access and are situated close to Cambridge, Huntingdon and Ely. We are a short drive from some of the county's premier competition and schooling venues. Barry Meningen is a UKCC qualified British Eventing accredited coach. He trains for local pony clubs, riding clubs and is a BE80(T) coach. Barry is a light weight event rider, who has ridden at all levels of British Eventing up to advanced on home produced horses. He also competes in pure dressage and show jumping. He has backed, schooled and competed horses and ponies of all levels and abilities. He also specialises in horses and ponies with specific or general handling or riding problems. 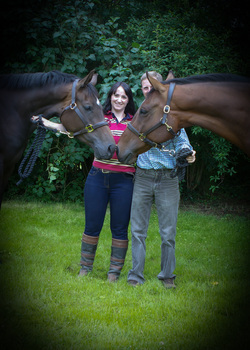 Barry has trained on an international competition yard and a yard specialising in natural horsemanship. Barry's philosophy is working horses from the ground up and involving the owners in the education of their horse as much as possible. Jo Meningen has always had a passion for horses and has been riding since she was a toddler. Her enthusiasm and dedication to the welfare of the horses and happiness of their owners ensures the smooth running of the yard at all times. Jo organises regular events for our clients, both mounted and unmounted. These include our regular curry nights, birthday gatherings, Christmas party, forest rides and competition outings.